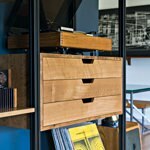 Stylish Modular Wall Shelving Systems | Valet. Take a few unruly stacks of beloved books and a collection of treasured keepsakes, add a bookcase and you've got the formula for turning a disjointed hoarder's mess into an artful display. A proper bookcase can give any room an elevated look and feeling, not to mention keep all the stuff we can't find space for neatly out of the way. But which one is right for you? There are a lot of variables to consider, from budget and space to material and style. Now, more than ever, there are adaptable modular systems that allow you to customize and craft the perfect bookcase for your home. They also make it possible for you to rearrange and reuse it in another space should you move. The end result is a sleek, bespoke look. And bonus, these efficient and easy-to-install systems are often much more wallet-friendly than installing traditional built-in bookcases. 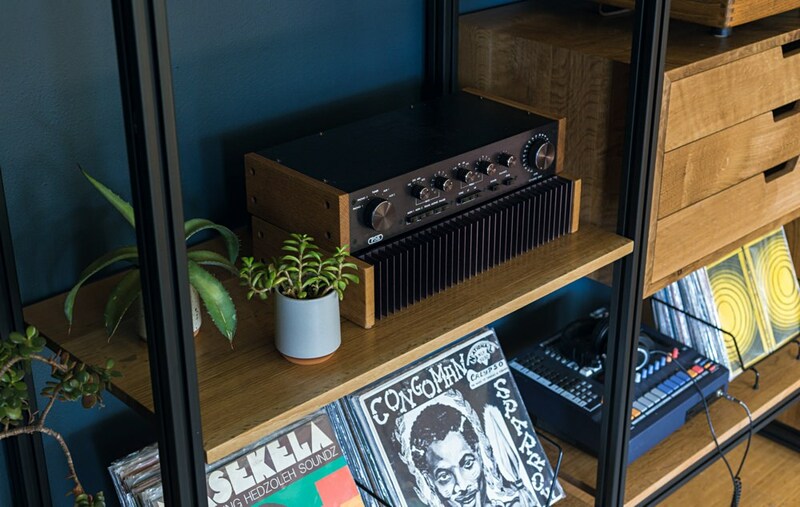 Handmade at Tanner Goods' Portland studio, this versatile system is meticulously crafted from quality hardwoods, high-grade aluminum and steel components manufactured in America. It's a modern update to the classically mid-century setup. The possibilities are endless with these straightforward white crates, crafted from Baltic birch plywood in Spain. 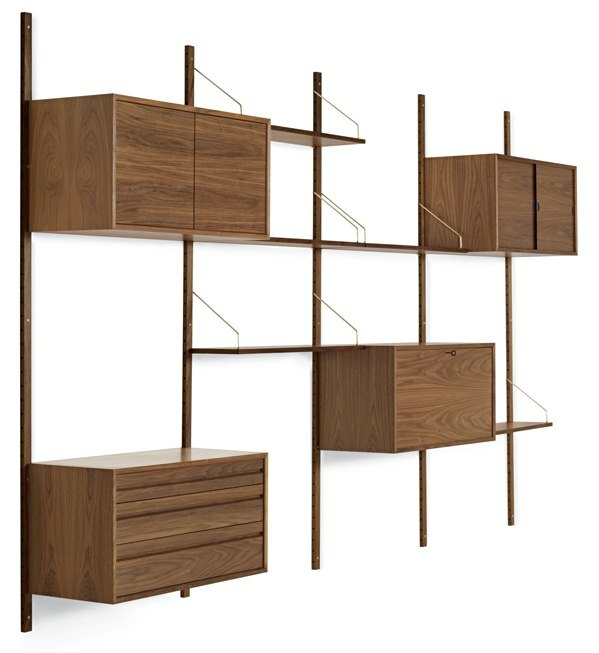 Stack them in any number of configurations to make a desk, console or wall of shelves. 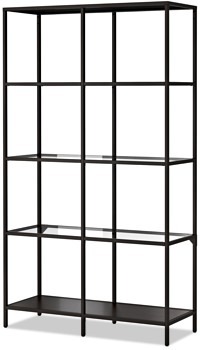 A favorite among design bloggers, this low-cost, glass-and-metal shelving unit is simple and straightforward (which makes it look more expensive than it really is). 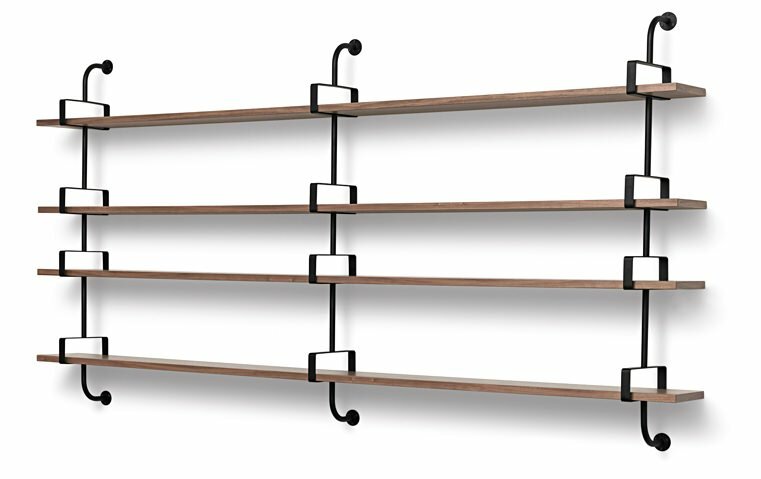 Danish designer and self-taught inventor Poul Cadovius first devised this ingenious wall-mounted shelving system in the 1940s to save floor space. Whether it's a collection or unique finds from your travels, group similar items together, placing larger items in the back so your eyes capture all the visual interest.